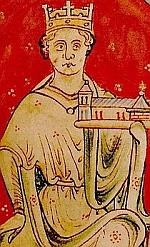 One of the few surviving contemporary images of Eleanor. 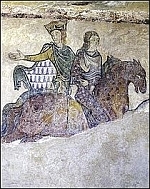 She is accompanied by a figure someties identified as her youngest son, John. 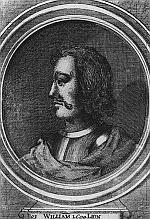 William I reigned as King of Scots from 1165 to 1214. Magic, mystery, adventure and medieval romance all together! Galiana Montehue's beauty brings her suitors but not love. Indeed, her beauty is more a curse than a gift. Her mother has taught her the perfect comportment of ladies, but she does not have the family's magical powers she so eagerly desires. Her parents are eager for their daughter to marry, but deep in her heart, Galiana hopes for adventure, true love and magical power. Instead, she injures a knight while trying to protect her brother, causing a head injury that leaves Lord Rourke Wallis blind. Taken prisoner, Galiana is forced to care for the handsome knight. Since he cannot see her, the curse of her beauty does not influence his reactions to her. Indeed, whereas other men worship her without ever knowing her, Rourke sees Galiana as she truly is on the inside. As Rourke heals from his injury, his quest to find the Breath of Merlin, a supernatural treasure stolen from King William, leads both Rourke and Galiana into dangerous territory. Will Galiana and Rourke be able to negotiate their way amidst all the court intrigue, subterfuge and hidden alliances that threaten their mission? Will the attraction between Galiana and Rourke endure past the thrill of adventure? In BEAUTY'S CURSE, the second of the Bodicea series featuring the sisters of the magical Montahue family, Traci E. Hall takes medieval magical romance to a new level as her characters search for an ancient treasure! BEAUTY'S CURSE can be read as a stand alone as well as after the first book, LOVE'S MAGIC, although the medieval romance enthusiasts will certainly want to read both after getting a taste of the author's writing. BEAUTY'S CURSE is a medieval romance full of adventure, mystery and supernatural magic set in the late 12th century, a time of political intrigue. Rourke makes for a most intriguing romance hero. Although handsome and strong, strong at least before his injury, ambition and a desire for power drive Rourke's intentions. As a spy seemingly working for both sides, Rourke knows how to play the game and work both sides to his advantage. When conflicting demands on his allegiance come head to head, how will he choose? Galiana is beautiful and knows how to act as a lady, and yet she has both an independent spirit and strength of character. Rourke and Galiana are just the perfect match to unleash each other's inner strength, setting each other free to follow the dictates of their hearts rather than the ways they have learned to survive the earlier disappointments of their lives. BEAUTY'S CURSE is everything a reader could ask for in a medieval romance. Traci E. Hall weaves together a historical setting and fairy tale magic, adventure and romance into story that captures the imagination. Once opened, BEAUTY'S CURSE is hard to put down and this reader didn't. BEAUTY'S CURSE is the perfect stay-at-home snow or rainy day reading choice. Traci E. Hall's writing flows naturally, making this romance easy to read. One scene flows from the next. BEAUTY'S CURSE will appeal to readers wanting more from their medieval romances. Most definitely, the length gives readers more of a story and more of a chance to know the wonderful characters, and to follow their adventures but the richness of the story is more than simple page count alone. Traci E. Hall writes a story with a richness of texture. The mystery and Rourke's role as spy adds a layer of suspense while the romance also has exciting twists. An easy mix between dialogue, action and descriptive detail allows the reader to enter the world of the story. Intriguing subplots peak one's interest while not distracting from the main storyline. Interactions between the characters provide delightful moments of humor. If you love magical medieval romance, Traci E. Hall is a must read author!